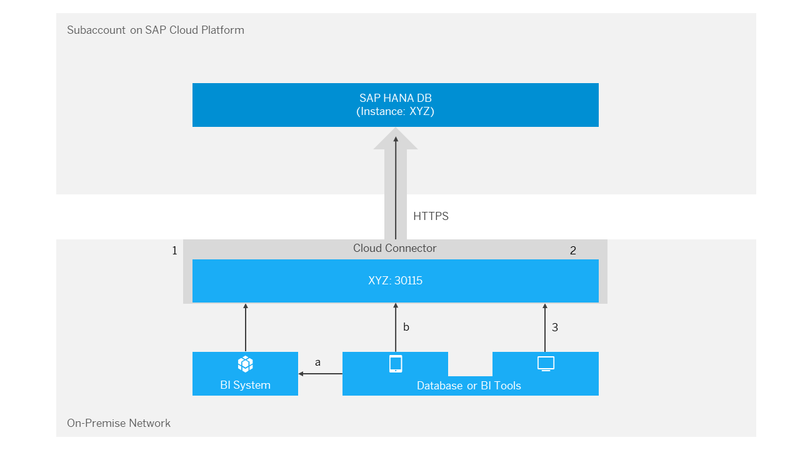 Fast deployment of hybrid solutions (cloud applications and databases) without firewall configuration changes. 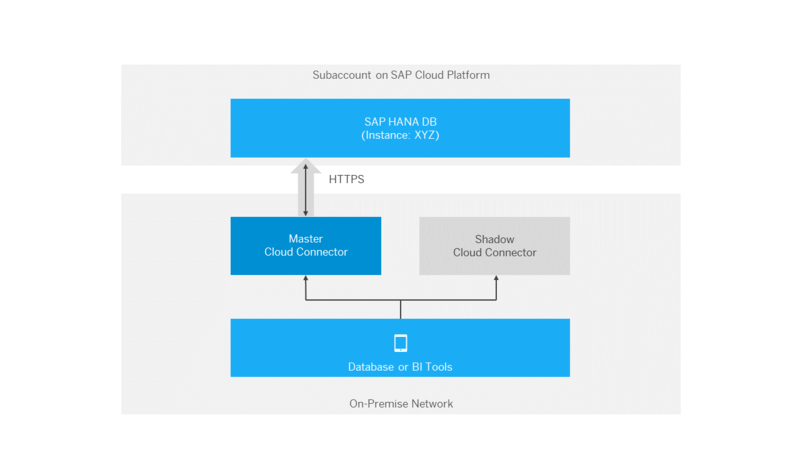 The Cloud Connector lets you configure a shadow instance for high availability to ensure seamless communication. Access your cloud databases using your existing database or replication tools. The Cloud Connector provides a dedicated service channel for database clients. 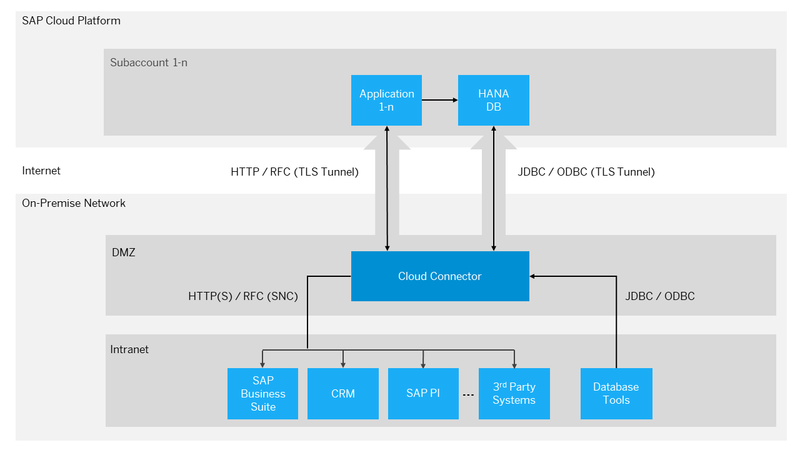 Access HTTP, RFC and TCP protocols for cloud to on-premise communication and JDBC/ODBC for communication with cloud databases. For your cloud applications, you can use LDAP-based user management if you are operating an LDAP server within your network. 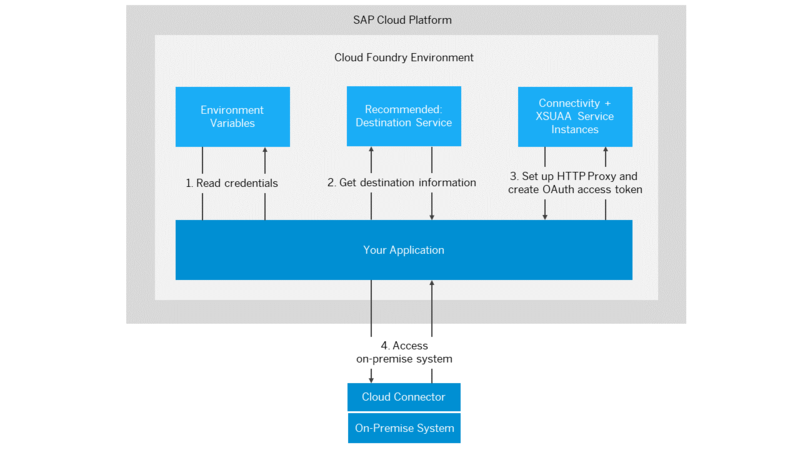 Use an identiy provider to simplify the access of SAP Cloud Platform users to on-premise systems. For this purpose, you can configure a trusted relationship in the Cloud Connector to support principal propagation. 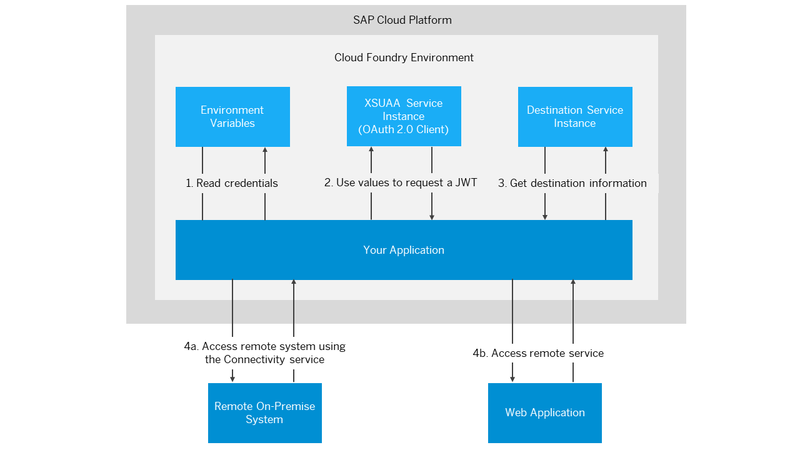 Create and configure destinations to manage the outbound communication of a cloud application with a remote system and store the required connection information. 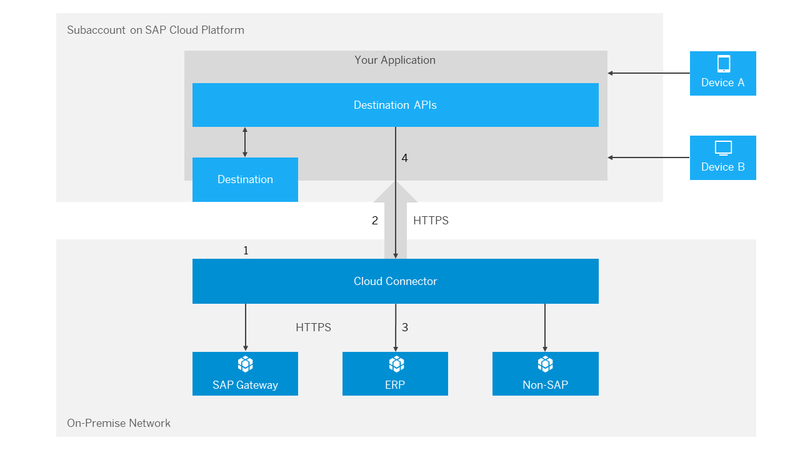 SAP Cloud Platform Connectivity allows you to establish secure and reliable communication between your cloud applications and remote Internet services or on-premise systems running in isolated networks.